Until 1933, the Smith family of Mauchline in Ayrshire was famous for the manufacture of a huge range of wooden gifts known as Mauchline Ware. These souvenirs were much in demand by affluent Victorians travelling abroad. Huge quantities were also exported to mainland Europe, the US, South Africa and Australia. Many of these souvenirs were decorated with photographic transfers of their place of purchase. 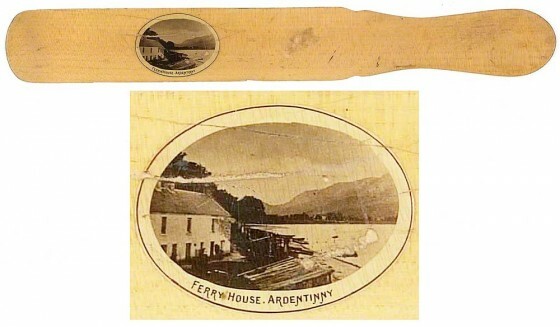 The image below of a bookmarker shows a transfer of the old Ferry House, Ardentinny with the old Glenfinart House in the distance. It was probably bought as a souvenir in Ardentinny and possibly dates from around 1900. 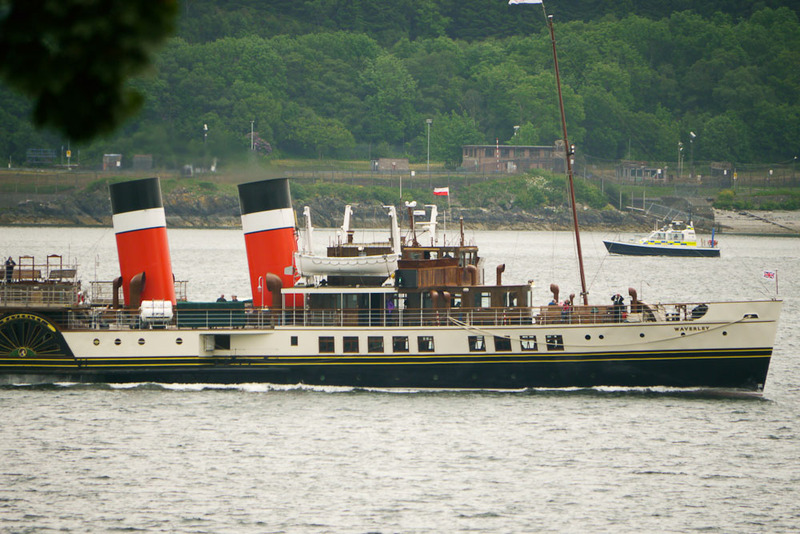 More information on Mauchline Ware is available here and here.